Don’t buy an annuity – they are very poor value and completely inflexible. An annuity is like an insurance policy in reverse. With insurance, you pay a little bit each year – the premium – and if something bad happens (eg. your house burns down) you get a lot of money back as compensation. With an annuity, you hand over a load of money up front, and you get a little bit of it back each year. When the bad thing happens (your death, which admittedly is certain) you stop getting back any more money at all. If you do think that’s a good idea, what’s to stop you from doing it yourself – and keeping the insurance company’s profit for yourself? The problem with annuities is that they take all your money away from you when you are relatively young and active, and they can only ever work out to have been a good idea if you live until you are extremely old and decrepit. At least we have a choice. When I started paying into a company pension (back in the 1980s) we were all going to get a lovely DB pension of two-thirds of our salary. Then it became clear that DB pensions were too expensive – interest rates were coming down, and people has stopped dropping dead at 68. So we’d have to grow our own DC pot instead, with a little help from our employer. When you retired, you were forced to take out an annuity. And given that you could get your hands on your pension at 50 in those days, it would have to last a long time, and so it wouldn’t pay out too much each year. The A-day pension reforms in 2006 (introduced by Gordon Brown, of all people) made it possible to defer taking an annuity until age 75. In the meantime you could use “capped drawdown” which let you take around 5% of your pot as income each year. Then the Pension Freedoms of 2015 meant that no-one would ever be forced to buy an annuity again. Looking at the rates available this morning, a 55-year-old man with the maximum pension pot of £1M2 could take an income of £27.5K. That’s 3% indexed with a 5-year guaranteed payout (a total of £138K, or less than 14% of the original money invested). It’s also significantly less than when I first looked at annuity rates on this blog, around eighteen months ago. It sounds like a reasonable income, but it’s just a 2.5% yield. I’m pretty sure I can do that myself – with a portfolio of shares, cash, bonds, property and other real assets – without cannibalising the capital up front. A safe withdrawal rate for the UK over the past 25 years would certainly be more than 3%. Until indexed annuities can beat that hurdle, not buying one is a no-brainer. What about someone with the UK average (mean) pot of £35K? They would receive £879 a year, or £17 a week. The median pension pot is £20K, which would produce £500 a year. That’s how low the headline return on an annuity is. But really things are worse. Because we’ve given away our capital, looking at the headline yield – however low – is enormously flattering to the annuity. You really need to work out the cash flows in and out, and discount them back to today. For many, many years, the return on an annuity is negative. For example, to get back the original £1M, our 55-year-old would have to live for 39.8 years, or until he was 95-year-old. After that, he would be fractionally ahead of the game. Trouble is, life expectancy for a 55-year-old man is 83.3 years. So that’s almost 12 years short of break-even on an annuity. Think about it – the average person has to get back less than they put in, so that the insurance company make a profit. It’s a death pool all over again. These are illegal for private individuals to arrange, but legitimate for corporates to make money out of. The annuity industry likes to market itself as providing the “highest risk-free return, on average”. It does, but that’s not saying much. For a start, use of the word “average” is glossing over the death pool aspect of the arrangement. Lots of people – those who die early – will do much worse than the average, and will subsidise those who live a long time. “Risk-free” is the other misleading part of the sentence. Risky assets produce better returns than risk-free ones, and as we’ve already pointed out, annuities are irrevocable. People say that they want guaranteed income, but in practice they prefer to get their hands on their pension pot. 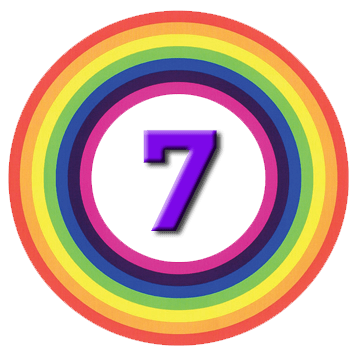 The UK has a historic annuitisation rate of 75%, but in the US – where annuitisation is voluntary – only 2% do, and in Australia it’s less than 10%. Someone retiring at 55 has an almost 30-year investment time horizon. Advising someone with a life expectancy of 30 years to stick their money into the best risk-free asset is like telling a 25-year-old that they can save for retirement using Cash ISAs. They will end up a lot poorer than their friend who bought stocks. Well, until recently they weren’t. Harking back to my youth once more, interest rates and bond yields used to be high, and life expectancy used to be significantly lower. When I was 30 years old, annuities paid out around three times more than they do today. Now that’s a product I would be interested in. The government has been concerned about the annuity market for some time. Back in 2014 they found that most people were buying an annuity from their pension provider, rather than shopping around for a better deal. This is a bad thing not so much because really good deals are on offer, but because customer inertia discourages new entrants to the markets, with new products. Customers are unaware that they can shop around, or that it would be worth doing so. They’re also bad at working out how long they will live, and the effect that inflation might have over the long-term. The government expected hybrid annuity / drawdown products to emerge, but while I’ve come across a few mentions of these in the workplace pensions area, there’s not much evidence of them in the DIY investor space to date. If they do emerge, their increased complexity is only likely to increase customer inertia. Another product with more potential is the deferred annuity, which already exists in the US. These are designed to pay out if you exceed your natural lifespan, as a backup to drawdown. But I think the maths is against them. With around half of people living longer than the average, you might need to hand over 40% of your pot, then receive nothing for 15-30 years (depending on your retirement age). That’s as hard a sell as a regular annuity or long-term care insurance. Direct comparisons of an incumbent firm’s offer against the market will be required. But none of that will fix annuities. In the economic environment prevailing since the 2008 crisis, annuities are broken. Insurance companies can’t safely generate the returns needed to overcome the loss of flexibility from giving up all your capital at the start of your retirement. I would only ever consider an annuity when I thought I was at risk of not being able to manage my own finances (through mental frailty). And even then, I would only want enough income to cover my basic living needs. You can always buy an annuity – or even a second annuity – next year, but you can never un-buy the one you bought last year. 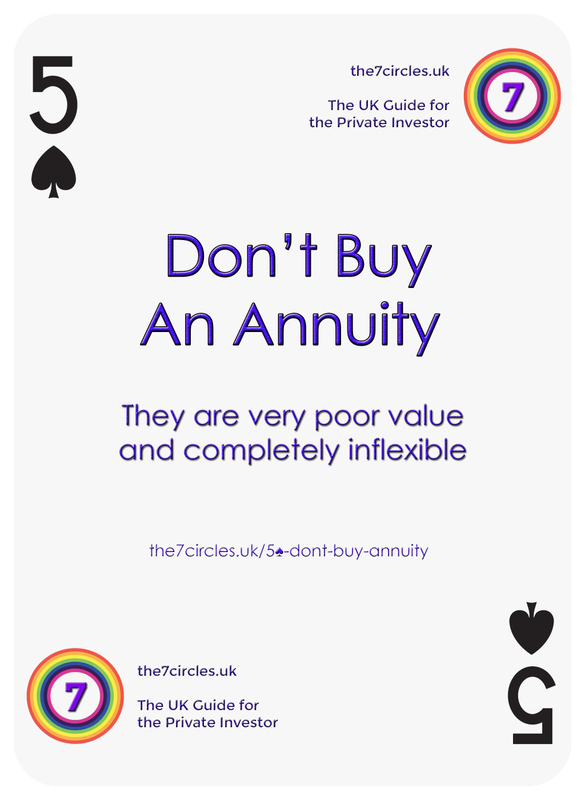 So don’t buy an annuity – they are very poor value and completely inflexible.